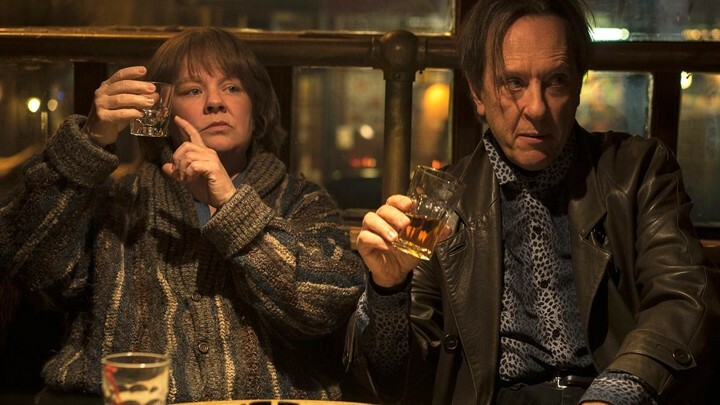 Cinema Review: Can You Ever Forgive Me? I read this article and found it very interesting, thought it might be something for you. The article is called Cinema Review: Can You Ever Forgive Me? and is located at https://www.totallydublin.ie/film/cinema-reviews/cinema-review-can-you-ever-forgive-me/. Can You Ever Forgive Me? follows Lee Israel, a writer whose career has been crippled by alcoholism and her increasing misanthropy. The chances of selling her next book, a biography on vaudeville star Fanny Brice, are somewhere between slim and none. Driven to desperation by her overdue rent and sickly cat, Lee sells a treasured letter from Katherine Hepburn. Upon realizing how much money there is in selling the correspondences of dead celebrities, she begins forging letters by Dorothy Parker and Noël Coward. Lee is a guarded individual whose cynicism and bile mask a deep insecurity. Though the forgeries are initially a way to pay the rent, it soon becomes apparent that Lee is desperate to hide her writing, and by extension, herself, behind the lives of others. McCarthy plays it perfectly, defiant and caustic, while also conveying the vulnerability underneath. She’s ably matched by Richard E. Grant as the flamboyant and self-assured Jack Hock. Grant is electric in the role, providing the perfect foil to McCarthy. The film’s greatest strength may be the friendship between the two, which feels wholly authentic and lived in. Marielle Heller’s direction is seamless, allowing her two brilliant central performers to take center stage. Whenever the film threatens to be swallowed by sentimentality, she interjects just the right note of dark humour or cynicism. The film eventually crescendos as the FBI investigate Lee’s forgeries, but by and large, Can You Ever Forgive Me? is a much more intimate film. It doesn’t end in a grand moment of catharsis, but rather a begrudging admission that in order to progress, we must first come to terms with our failures.